There has been much attention given to impact within documentary over the last couple of years. While BritDoc have stated in their recently published impact guide; ‘the power of film to change the world has become impossible to ignore’ and the Puma prize has been established to reward impact, what is meant by impact is not self-evident and for some, highly contentious. In his keynote at Visible Evidence in New Delhi this month, Brian Winston asked, in reference to BritDoc’s statement above, “what change exactly?…. [the] claim of proof is delusional and its consequences un-thought through”. What, then does impact mean by those using it now? Can it be measured, and how? 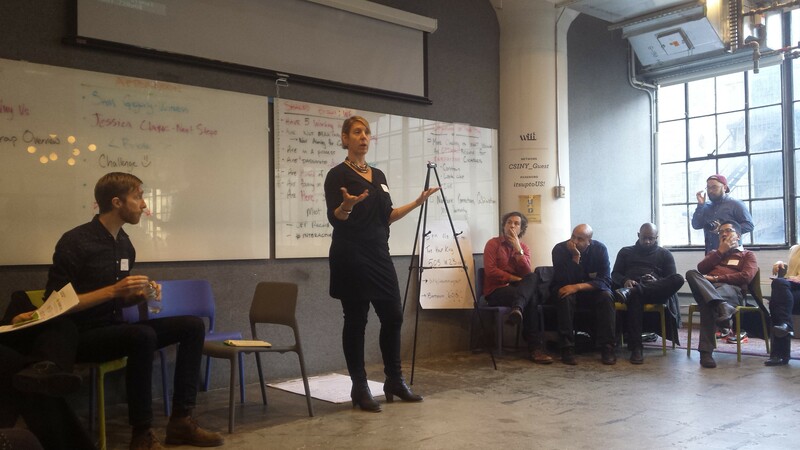 Who does the impact agenda serve – the funder of the work, the maker, the subject/participant, the audience…? In this confused landscape it is to be welcomed that Tribeca have convened a dialogue on the topic, with the ambition to develop tools and resources for makers of interactive non-fiction work. Supported by the Fledgling Fund and Ford Foundation, they have invited contributions from a group of artists, funders, social scientists, academics, impact producers and activists. This interdisciplinary group has started an interesting dialogue, sharing existing resources that include an overview of the field from the Lear Centre, a detailed report from the Centre for Media and Social Impact and a number of articles, most of which are catalogued here. At the end of October I attended an event organised by Tribeca in NYC, which convened this discussion in a real room, filled with real people from that group, with the aim of getting one step closer to these desired tools and/or resources. The event offered the assembled media makers the opportunity to think critically about existing frameworks and recognise that a ‘one-size-fits-all’ solution is not likely to be viable for this varied field. Ingrid Kopp had brought together diverse projects as the case studies for consideration during the day: Hollow, Priya’s Shakti, Fort McMoney, Question Bridge, Sandy Storyline and The Enemy. Small working groups met with project creators and heard about what impact meant to them, how they had approached it and, if relevant, what they would do differently in the future. From a game, to an AR comic book to participatory citizen journalism – they had very different relationships to the idea of impact. 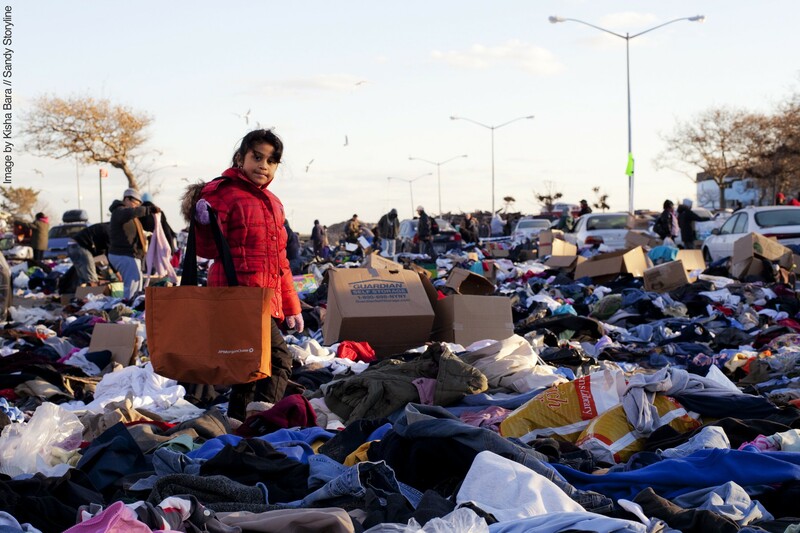 For Sandy Storyline – an ongoing participatory documentary project that collects and shares stories about the impact of Hurricane Sandy – the project began as a response to something already happening. They saw people were already creating media covering community response to Hurricane Sandy and wanted to create a space for these to go. The project resists’ the word ‘crowd-sourcing’ as they ran workshops to support the production of the stories, as well as live events to stimulate content creation. Within this project, this facilitation? work on the ground and with communities is the primary objective . You can see the results on the Sandy Storyline site. In stark contrast, David Dufresne’s Fort McMoney is entirely about online engagement. Fort McMoney is a documentary game that asks players to decide the future of Fort McMurray, Canada, a city in the centre of oil sands development. Players vote on policies and issues in a virtual civic space, where they are asked to consider what responsible development of the world’s largest oil sands reserves might look like. Dufresne explained that for the project team impact isn’t so much a question of ‘did we change the law?’ but about making an impact on how aware, engaged and informed those taking part are. To an extent, the platform can reflect this engagement through metrics. The online game is also helping shape the linear film (yet to be released) by giving Dufresne an insight into what people want to debate and the issues that are important to them. Screenshot from the Fort McMoney docu-game. From looking at just these two projects, you begin to see the difficulties in creating impact frameworks that might remain relevant for the wide variety of work emerging now. Projects like Hollow, Question Bridge and Sandy Storyline are rooted within participatory documentary and community media – the producer’s interest in impact is situated in the context of responsibility to those who have taken part. Whereas the team behind Fort McMoney are thinking about the affect on the awareness of the online user – a very different matter. When you add these to this new pressure to measure impact, with funders pushing for quantifiable results – it seems like a challenging situation in which producers will struggle. While well-intentioned, let’s hope that a focus on impact doesn’t become an additional pressure, limiting the creative experimentation we’ve been seeing in the field.